With all the excitement surrounding this weekend’s royal wedding, you might have forgotten that, until 18 months ago, soon-to-be-wed Prince Harry was a hard-partying bachelor. Perhaps not at the level of Leonardo DiCaprio and his harem of young models, but the young prince was known for popping bottles in the VIP (this much we learned from watching Lifetime’s Harry & Meghan: A Royal Romance). The one place Prince Harry often turned up? London’s Novikov Restaurant and Bar, which opens its first U.S. outpost in Miami next week (300 S Biscayne Blvd). The hot Chinese-Japanese restaurant from Russian restaurateur Arkadiy Novikov debuts a stunning, waterfront space in Downtown on May 21. 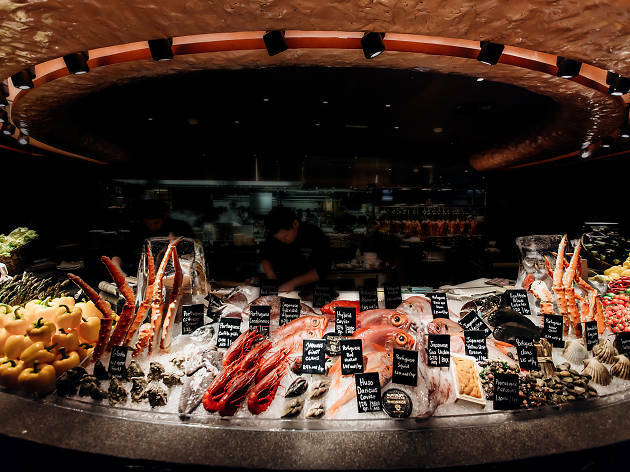 Novikov’s open kitchen will dole out upscale Asian fare comprising the finest ingredients, from quail eggs and truffles to Peking duck and Russian caviar. Market-fresh vegetables and just-caught seafood will round out the extravagant offerings. 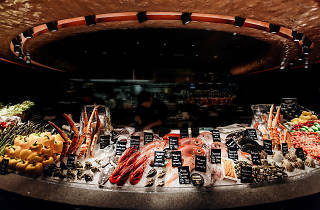 Rihanna (who, incidentally, is not invited to the royal wedding) is reportedly also a fan of Novikov’s London location. No word on the rest of the menu or what prices will be but expect something in the range of what British royalty and an American R&B princess would throw down for dinner. Good luck footing that bill.